Open source is dominating the world, as it can be found everywhere nowadays. Virtual Reality, until recently, was an exclusively proprietary technology. But not anymore — OSVR strives to change this and make a difference. Some readers may already be familiar with the tech as Elio covered it here at SitePoint briefly in one of our Sourcehunt articles on emerging tech. In this article, we’ll look at it in a bit more detail. OSVR stands for Open Source Virtual Reality. The lead developers for the headset and tech are Razer, a company very well known among gamers and Sensics, which focuses on manufacturing VR products. The platform is backed by more than three hundred partners, including industry leaders such as Intel. What is OSVR all about? OSVR is not just about another headset. It is a whole movement. According to its developers, the platform does not aim at competing with its competitors. OSVR is designed to work with several other head-mounted displays and is on a mission to establish an open standard so that existing devices and software can become interoperable. Developers and consumers with OSVR-compatible HMDs, can already get started by configuring their equipment. The OSVR website features a perfect showcase of their software (also called “experiences”) that are compatible and ready to run. There are already games, media players, emulators and more! There is lots of SteamVR-powered content too. At this time, OSVR’s supported operating systems include Android, GNU/Linux, Mac OS X and Microsoft Windows. Interested in giving OSVR a try? Right now there are two different headsets — called Hacker Development Kits (HDKs) — which you can choose from. OSVR HDK1 made its debut in July 2015. It features a 5.5 inch OLED display, supporting 1920 x 1080 pixels in resolution (960 x 1080 per eye). HDK1 is bundled with sensors like an accelerometer, gyroscope and compass. Three USB 3.0 ports — two internal and one external — are present. Prices start from 300 USD. 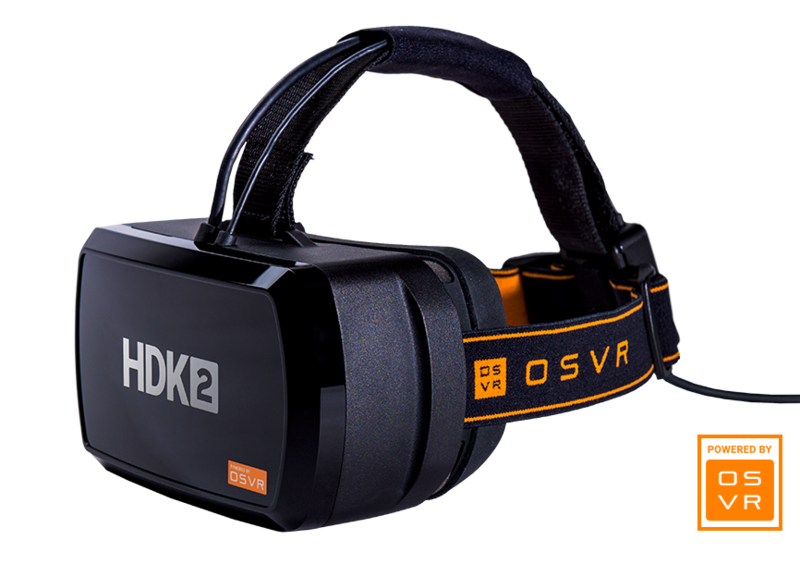 OSVR HDK2 was revealed last summer and is very similar to its predecessor but comes with an improved display. It supports 2160 x 1200 pixels in resolution (1080 x 1200 per eye) with a pixel density of 441 PPI and runs at 90 FPS compared to the 60 FPS of HDK1. The base kit costs 400 USD. HDKs offer neither built-in audio output nor input; external gear must be used. As for the system requirements you’ll need — for the HDK1 you are better off with at least an Intel Core i5 3GHz or equal CPU, a NVIDIA GTX 660, and a minimum of 8GB RAM. While for the HDK2, an Intel Core i5-4590 equivalent or greater processor is being recommended as well as a NVIDIA GeForce GTX 970 or AMD Radeon R9 280 or equivalent graphics card bundled with at least 8GB RAM. It should be noted the ecosystem is not exclusive to HDKs and is compatible with third party displays. The best part? Any software developed for the OSVR open standard is meant to work with every OSVR-compatible piece of hardware. Openness and inclusion play a key role here. The project code is available on Github under the Apache License 2.0; this allows everyone to use, modify and redistribute the software for any purpose. Same goes with the design and schematics for the HDKs — anyone with a 3D printer and the right material can build their own from scratch. Like many other open source projects, OSVR has a broad community of developers, supporters and friends. Online resources include the OSVR Forums as well as the OSVR Subreddit. There is also the Developer Section on the website and the separate Developer Portal. For communications among developers, OSVR has mailing lists too. Additionally, the community chats live using IRC at #osvr on Freenode. As long as user support is taken into account, a Support Portal exists, which can be used for submitting support tickets and connects to the documentation. Last but not least, OSVR is on social media. Make sure to check their profiles out on Facebook and Twitter. When it comes to game engines, major players have jumped in. CryEngine, SteamVR, Unity, Unreal and WebVR are a few. If you wish to get started with game development, the official documentation will come in handy. Extended tutorials should be around the corner too. Not only developers, but also VR aficionados with different skill sets are strongly encouraged to participate in the advancement of the platform. They have a Waffle.io board with an overview of GitHub issues waiting for people to help out with. In terms of programming languages you’d need to know — the vast majority of the project code is written in C++. JSON, which mainly appears in hardware configurations, makes up another large portion. Last June, the OSVR Developer Fund was launched. How much money in the pot? $5 million, and increasing! So far, Razer has invested in fifteen games out of hundreds of submissions. This fund is open to everyone and registrations are still ongoing. OpenVR is an API linking applications to VR equipment. The API is backed by Valve Software and is licensed under the The BSD 3-Clause License. 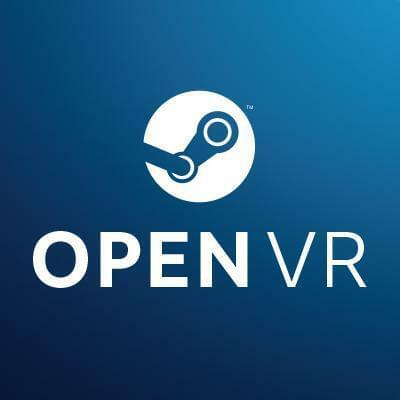 Last year, Razer announced a partnership between OpenVR and OSVR which continues today. OSVR headsets go head to head with their rivals, yet cost significantly less. Furthermore, the project is not restricted to specific devices, but rather focuses on increasing collaboration among current and future technologies. There is still a long road ahead. Resources are plentiful, although they are scattered across websites which might be a bit overwhelming and discouraging for new enthusiasts trying to get started. Despite that, the true values of open source and open hardware are proudly reflected, enabling individuals to contribute and even produce their own hardware! All in all, OSVR makes a very promising initiative with a great mission and huge potential. VR to the people!